Maaz Farhan - KirkukNow Seven political parties, three alliances, enter discussions to form the Iraqi government, without a unified agenda on their demands, including the issue of the "disputed areas". Seven Kurdish parties could win seats in the 12 May election of Iraqi parliament, yet despite their campaign promises to maintain the unity of Kurdish house, they have started negotiations separately with Iraqi parties. The Patriotic Union of Kurdistan (PUK) and the Kurdistan Democratic Party (KDP) have formed a joint front, while Gorran Movement, Coalition for Democracy and Justice (CDJ), Kurdistan Islamic Union (KIU) and Kurdistan Islamic Group (KIG) have formed another alliance. The newly-formed New Generation party negotiates alone. They call on the other blocs to join them, and for that aim, KDP and PUK have started visiting other parties. The spokesman and member of PUK's Political Bureau Saadi Ahmed Pira told KirkukNow, "The meetings are intended to include all parties in the project of negotiation with Baghdad, and KDP and we [PUK] will go to Baghdad on Friday [31 August], if other parties want, they can come with us." The official negotiations to form a new cabinet started two weeks ago. In Baghdad, two major blocs compete to create the largest parliamentary bloc to form a government. One is headed by the current prime minister Haidar al-Abadi, leader of Marching Onward Muqtada al-Sadr, and the other is led by the former prime minister Nuri al-Maliki, and the general secretary of Badir organisation Hadi al-Amiri. Kurdish parties have 58 seats altogether and undecided to join the Abadi-Sadir alliance with 130 seats or Maliki-Amiri partnership with fewer than 100 seats. To form a new government, the largest parliamentary bloc should be comprised of at least 165 seats, out of the 325 seats of parliament. Amin Bakir, member of the four-party alliance and Gorran told KirkukNow, "KDP and PUK do not want unity, they want followers. They want all other parties to follow them." Unity starts at home, Bakir said, but they have ruined all the bridges of relations through fraud, dismissal and humiliation. Bakir claims that while they propagate the rights of people, an agreement with them would be for their interest in positions and wealth. The four-party alliance came head to head with KDP and PUK when they accused them of vote-rigging. Despite recent meetings between them, the relations are yet to be normalised. The four-party alliance, with 11 seats, decided to form a parliamentary bloc in Baghdad on 26 August, against KDP and PUK with 43 seats, and New Generation with four seats. Muhammad Khurshid, a KDP leadership member, rejected the notion of division, "A large front is clear through its seats. How many seats does New Generation have to be a front? KDP and PUK are one front, and the rest of the four parties have created a front due to their psychological problems." The new parliament is expected to hold a session on 3 September, which gives a tight deadline to distribute the governmental positions among the winning parties. Osman Karwani, a member of KIU's leadership, accuses KDP and PUK of the division, "The situation in the Kurdistan region comes from the lack of a constitution and state institutions. They could not even agree on a joint administration in Kirkuk. Thus, PUK and KDP are responsible for the division in reality." He said the four parties wouldn't take such a responsibility anymore. Kirkuk and other "disputed areas" are on the agenda of all three Kurdish blocs. Some call for normalisation, while others call for a joint administration. They have not been able to enjoin their calls. PUK spokesman claims to be "concerned" for Kirkuk as they have discussed how to normalise the situation with KDP. Winning half of the seats in Kirkuk, PUK attempts to win the position of governor again, which has been given to an official of the Arab Council as acting since ten months ago. KDP boycotted elections in Kirkuk, while the other parties could not win a single seat. Khurshid says while they focus on the "achievements of the Kurdistan region at first", a resolution to the issue of the disputed areas comes as a second. The four-party alliance have a similar stance, at first, they said, the constitutional rights of the Kurdistan region, and second, a joint administration for the Kurds in the disputed areas. 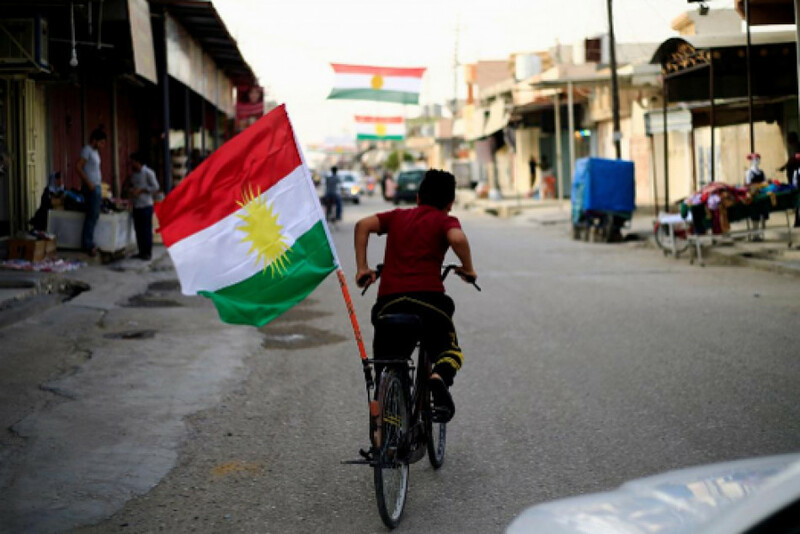 Kurds have tens of issues with Baghdad, including peshmerga, oil, article 140, budget and salaries. Aso Ali, a political observer in the Kurdistan region, believes that Kurdish parties lack a strategic and inclusive view, "The personal and familial interest is beyond all. They can't be united on a strategic problem like that." The Kurdish position is fragile when compared to the past, Ali said, to an extent where they cannot succeed even if they all join together to negotiate. Ali says Kurds can win such issues only through the international backing, "With all the defeats and divisions, they can't resolve the dramatic problems." Kurdish parties were kingmakers in the past, and even now, the significant blocs attempt to win their support to form a government. However, it's not clear which direction they take, due to opaque agendas and multiple authorities.